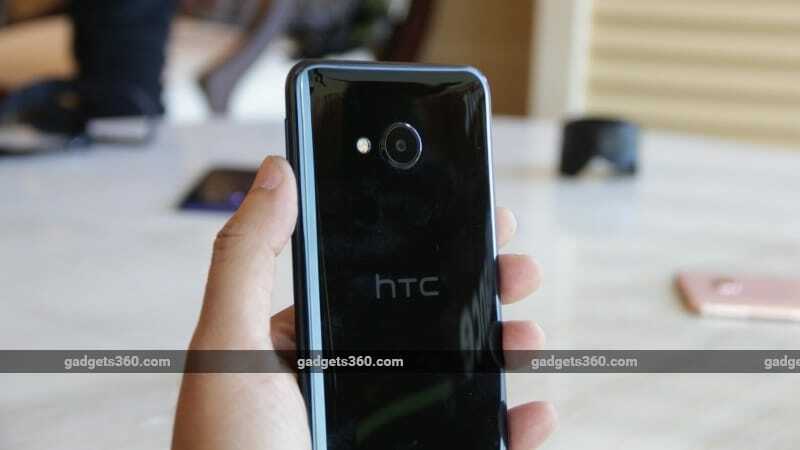 HTC India on Tuesday launched its latest flagship smartphone in the country, the U Ultra. Priced at Rs. 59,990 (MOP), the smartphone will be available from March 6 in Blue, Black, Pink, and White colour variants. HTC also launched the U Play alongside, priced at Rs. 39,990 (MOP), and it will be available from mid-March in Blue, Black, Pink, and White colour variants. The biggest highlight of the HTC U Ultra (seen above) and HTC U Play (seen below) is the Sense Companion feature, an AI-based system that learns the user's daily patterns to provide usage recommendations and friendly advice. On the U Ultra, the Sense Companion will display important alerts and notifications on the second ‘ticker-style’ display, which is called the Priority Screen. Both smartphones come bundled with HTC USonic earphones, which analyse the shape of the user's inner ears with a "sonar-like pulse" to adapt to you. HTC is also boasting of the "liquid surface" curved glass construction. As for the HTC U Play, the Taiwanese company has launched the 4GB RAM + 64GB storage variant in India. The smartphone sports a 5.2-inch full-HD (1080x1920 pixels) Super LCD display with Gorilla Glass. It is powered by an octa-core MediaTek Helio P10 SoC. Its 16-megapixel rear camera comes with a BSI sensor, optical image stabilisation, PDAF, an f/2.0 aperture, and dual-tone LED flash. The front camera sports a 16-megapixel sensor with an UltraPixel mode, a BSI sensor, an f/2.0 aperture with a 28mm focal length. Just like the HTC U Ultra, the U Play's inbuilt storage is expandable via microSD card (up to 2TB). HTC U Play connectivity options include 4G LTE with VoLTE, GPS/ A-GPS, Bluetooth v4.2, Wi-Fi 802.11ac, NFC, DLNA, Miracast, HTC Connect, and USB 2.0 Type-C. The new HTC smartphone sports an accelerometer, ambient light sensor, digital compass, and gyroscope, weighs in at 145 grams, and measures 145.99x72.9x7.99mm. It bears a fingerprint sensor on the Home Button. HTC U Play is powered by a 2500mAh battery with fast charging support (5V/2A) that's rated to deliver up to 15.21 hours of talk-time and up to 427.54 hours of standby time.